The walk through the Valle to the open crater below is filled with charcoal trees depicting the enormity of the fire in the area and is sharp in our vision. Birds sing, ground cover has grown, and small trees have returned. Lovely little chipmunks eagerly dart in and out of the undercover. 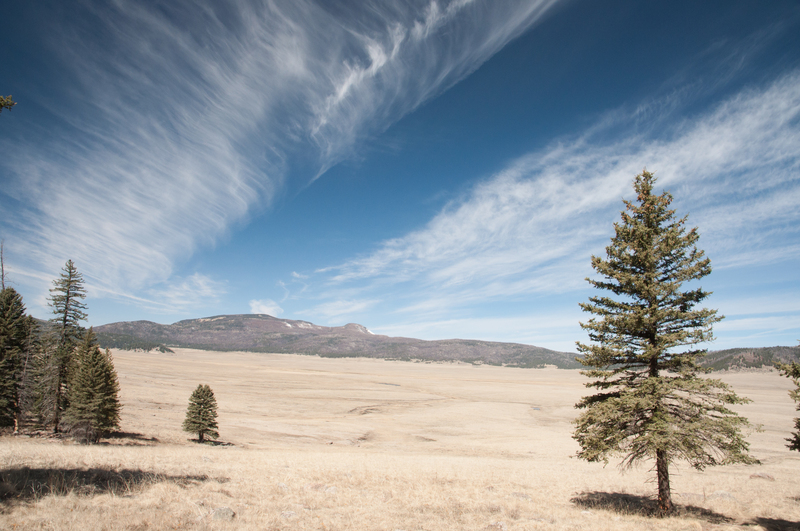 When we hike down and arrive at the Caldera basin the wispy clouds enclose us in the landscape. It is cold but all we can hear are the birds like nuthatch, chickadee, hairy woodpecker surrounding us and we watch some of the cavity nesting birds dart in and out of homes and feeding spots. At the bottom of the trail we sit for a while and have a snack and some water and take in the spaciousness of the area. When we hike back up the trail the light is dappled and resting on the tawny grasses and stark shapes of the burnt trees with some large aspen that seem as if they are saved by the trees that burned around them in a ring. 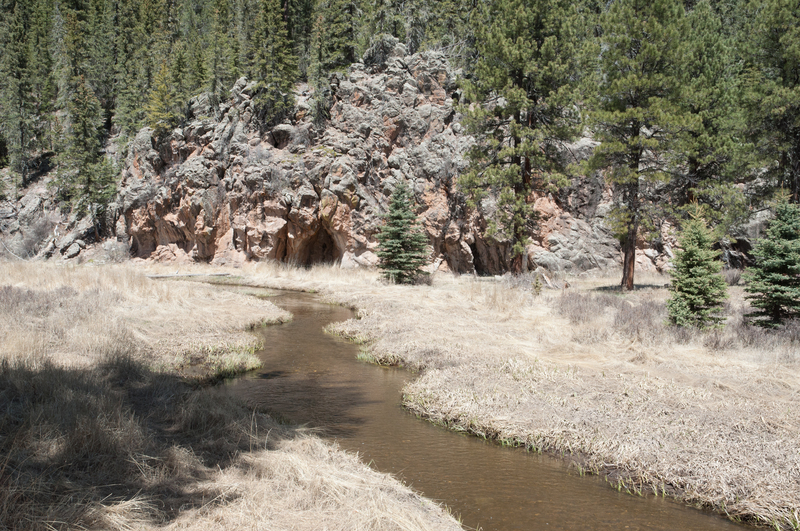 Driving up the road there is a lovely spot and trail that winds around the East Fork of the Jemez river and it is another body of water that I toss ashes into the water and watch as it flows downstream and circles around to the canyon and the caldera behind us. The large natural stonework with the waters cutting through the dried grasses is magnificent and I am glad to visit here with Lupine even if she is in this tiny bag of burnt bones. This part of the river is an area that I did not hike with her but I am sure she would love if she were here. The trail by the water is okay for a dog to hike in, and a large happy faced pit bull named Brandy finds us as we start to make lunch. The lovely color of her fur and her friendly visit lasts for just a few minutes as they amble up the trail and we sit at the water’s edge. One of us rests and the other travels up the trail a bit more to see how the river winds through the landscape. I find a birthday that is out in nature is the best and have made that a ritual for many years as has my celebration of choice. Many times I wish Lupine is with us but I am glad to find time here in nature to hold her in the midst of the day. As we leave the park there are deer in the meadow and they seem like birthday totems to for this day of continuation. They are gentle creatures that carry themselves in the wind and sky with a lift off into the cold and crisp wind. 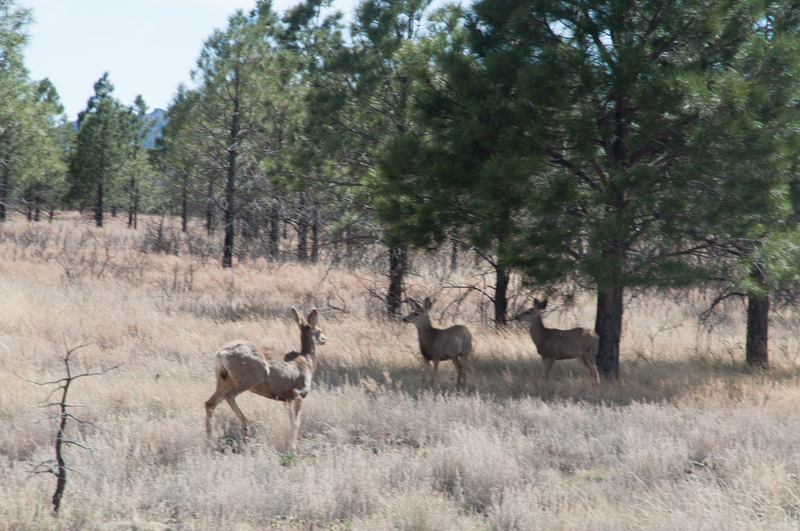 The deer are shy and strong as they amble through the meadow.